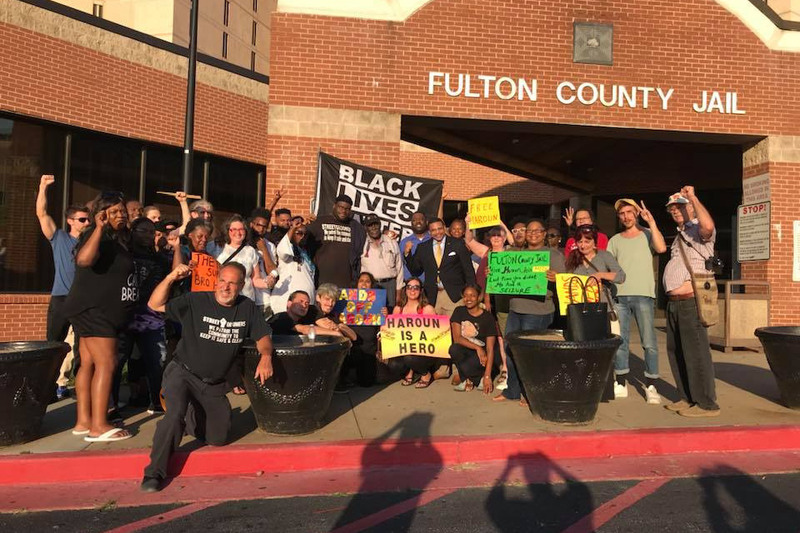 URGENT UPDATE & REQUEST: "Anyone who is active in the Atlanta metro community knows Brother Haroun and the work he does, sacrificially, full time, and sometimes by himself, on multiple issues. Your support of his noble work generally, and when the racist system has targeted him with bogus charges, has been generous, and we thank you! We are now reaching out to you once again to help with his health so that he remains a strong voice for the voiceless---as he has some potentially serious, early on-set chronic conditions, for which he is hospitalized too often (monthly), which can be warded off by proactive, preventative care and treatment. To this end we are raising money so we can both get him insurance and to a multi-disciplinary, naturopathic clinic which will work curing these conditions rather than just treating symptoms--or both. Anything you can contribute will help, and if you have recommendations for both good insurance and such a clinic or practitioner please share." · To clean up and take back the streets from those who terrorize our people and communities, including those drug dealers and those police officers who act as thugs targeting our people and communities of color. · To provide programs and projects for youth as viable alternatives to life on the streets. · To patrol and clean up the streets in high crime and highly policed areas, reaching out to youth who want to change their lives, and exposing police harassment, profiling, and other injustices (while cooperating with police who cooperate with us and do not engage in these corrupt practices). · To set up business enterprises, programs and projects that put our people to work, and teach other survival skills. · To set up recreational and educations programs for the youth in communities we patrol. · To work and cooperate with other organizations and officials, including public safety, who share our mission and objectives. 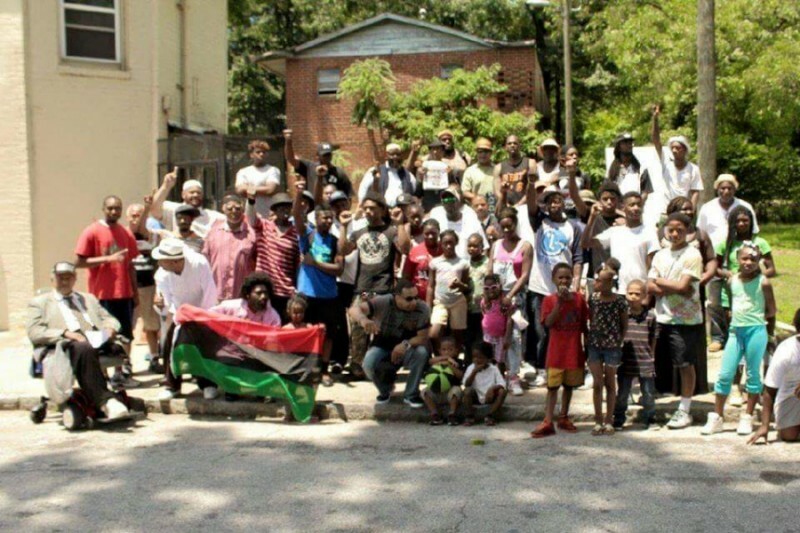 · Several Atlanta area young Black men, former “gang” members, led by Brother Haroon, tired of life on the streets and in the jails, decided to transform their lives and to reach out to others in similar situations to help them do the same. They were also tired of seeing young Black men killing each other, and racist police harassing, incarcerating and killing their brothers and sisters. So they decided to organize themselves into street patrol units and begin taking back the streets from thugs of all types, and cleaning up their communities---and the Street Groomers was born! · The Street Groomers are now in demand in many Atlanta area neighborhoods, and in communities in other cities and states, as positive results are immediately noticed in communities they patrol. · In addition to expanding the number of communities they patrol, their next step is to launch enterprises, programs and projects that benefit and positively transform the youth and communities they patrol. · Volunteer to join our patrols. · Help raise or contribute funds for both the patrols and the community development programs. · Attend our marches, rallies and community clean up events. A video reminder of the noble work the Street Groomers do in the community. Update: Brother Haroun turned himself in on Monday as planned however the plan to process him in and out with a bond within24-48 hours did not work and he is now looking at 1 to 4 weeks before a bond hearing and release---however we have two attorneys working urgently behind the scenes to expedite that. (This system is so crooked, from the beginning to the end.) Thank you all for your support and Brother Haroun sends his warm thanks as well and said he is taking this as a vacation and rest, and also an opportunity to meet and advocate for the others he meets inside who have been criminalized by this wicked system, and who don't have a voice and a wonderful community of supporters like you all. Friends: Thanks for visiting....two quick things...make sure you read the update as this effort is for a specific purpose...and this latest initiative started several hours ago and not 53 months ago...lol. Love to all the Streetgroomers, and especially brother Haroun for keeping us up to date on what's happening out there. Wish I could donate a lot more. Atlanta is a wonderful place and can always be better. while virtually all decision-makers in Atlanta are either ignoring or criminalizing homelessness, the Street Groomers are getting involved and reducing harm.Thank you for everything you do for our community.